A massive happy new year to you all and a great colder start it is as well. The first few days here in Hampshire has seen the mercury drop down to -5c, bringing the coldest snap of the winter so far, lets just hope we get a few days of this to kill off the bugs that were everywhere after last winter. I don’t know where the time has gone since Christmas, I had so much planned to carry out over the Christmas break but I don’t seemed to get too far with it all, but thats life. The garden is slowly coming to life isn’t, so many bulbs are sticking there little heads above the ground. Some of these little further coming delights will be in flower very soon and doubt will feature very soon on the six on Saturday theme. 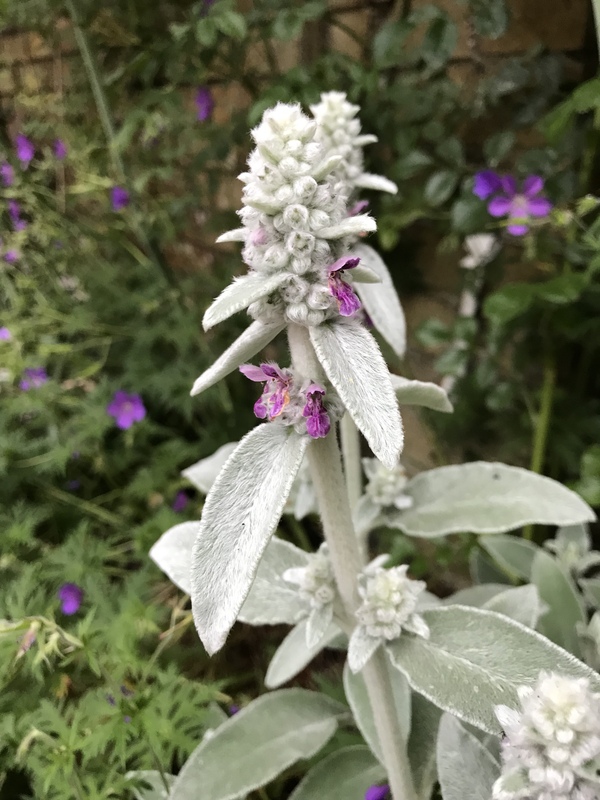 Well this is my first proper blog for a while and tbh I have missed being part of the #sixinsaturday team so excellently built up by its founder The Propagator. Its the last Saturday before Christmas and I was thinking about doing a special one just maybe about Christmas within the garden or Christmas plants, then I heard the sad news about the passing of David Austin Snr at the grand age of 92, I felt this would be a fitting tribute to him. Winchester Cathedral again was a fairly old Austin rose. Falstaff to me is one of the best Austin roses, it was also the only time I visited the nursery and spent time behind the scenes, looking at the huge set up they have there. I came away so impressed with the whole nursery, the 25000 roses they bred every year just to get 3-4 named varieties, the size of the rose fields and the professional set up they have. Most of all, it was the only time I met David Austin Snr. I hope you enjoyed my own little tribute to the great rosarian, nurseryman and businessman, David Austin Snr. Of course he was more than that and not only will he be missed within horticulture but also to his family. For more six on Saturday, please see the great man himself The Propagator and see more links of other great people! Good morning folks, what a dry week that has been! Everywhere I look the grass is a shade of brown, pots seem to dry out within minutes of being watered, it’s more like late August than the last few days of June. The rain they forecast is always on the move isn’t, one day it’s forecast for Sunday and the next it’s been changed for the following Thursday. God knows we need it! Six on Saturday 23rd of June. Rosa falstaff and me have some history which sadly I can’t say in public but never less she is a stunner and one of the best Austin roses I think! That’s my six for the week, I hope you enjoyed them and don’t forget to pop over to the memes host, the wonderful, the king of the cuttings himself, The propagator! Rosa iceberg was in the garden when we started renting it about 8yrs ago now, was a rather poor specimen and now its stunning! 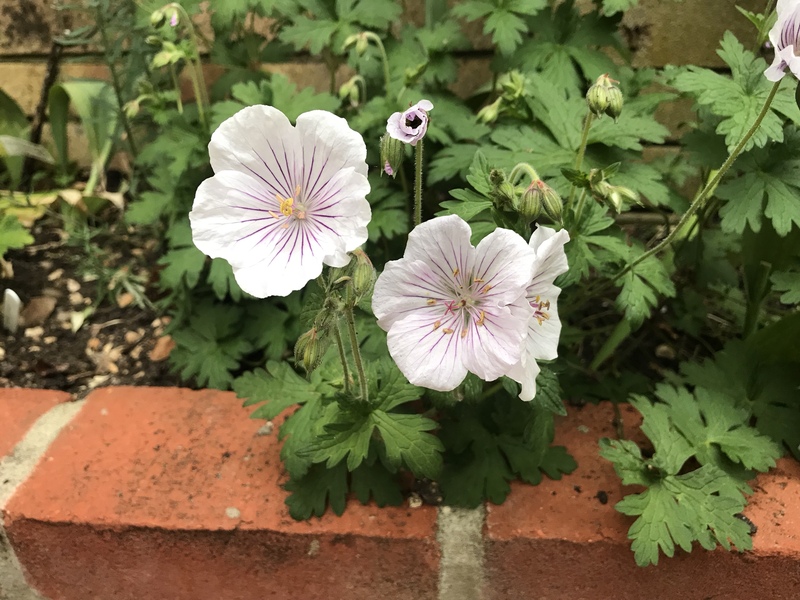 Geranium palmatum is one of the half hardy hardy geraniums, confused? Well add me too that list, comes from the canary island but has been growing in mine for 4 years, could of been longer but it’s still going well. The foliage is stunning as well and evergreen! 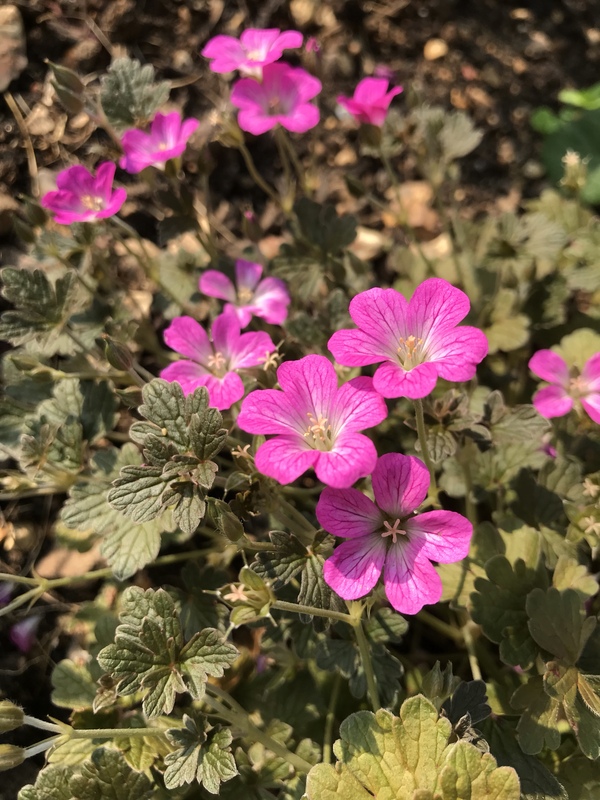 I love this time of year more than any other time, I think it maybe just because I have a deep deep love of roses, wild flowers and Hardy Geraniums, for those plants, it’s the time of the year that the both of them are at their peaks during this month. 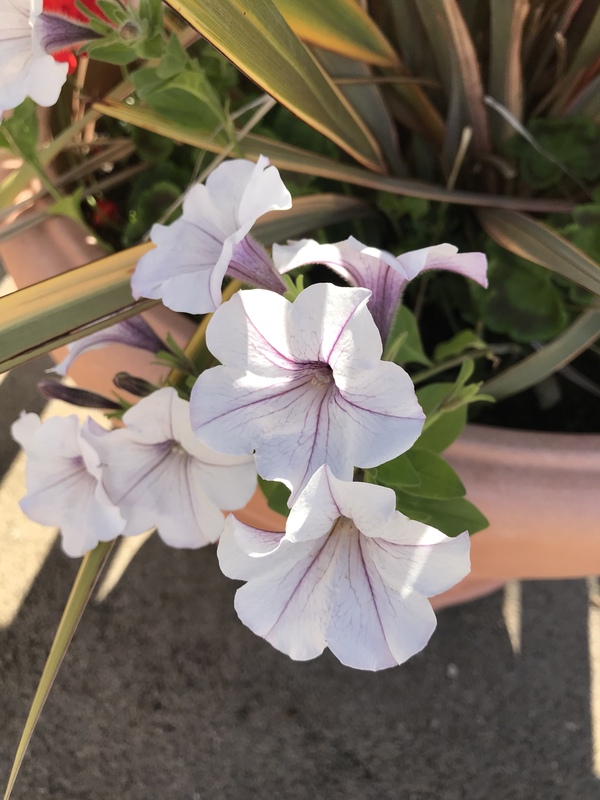 But that said, I think this time of the year is when the gardens have really come to life, the range of greens from the new foliage looks green and fresh, so many flowers are just hitting their first peak and it’s not only the garden this is happening. A drive around the hedgerows in the country, they will be filled with the soft white of cow parsley, the odd bit of blue of geranium pratense and if you are really lucky, a area of orchids. These native plants are also just coming to their best now. Not doing too much in my garden at the moment apart from enjoying the flowering plants and the scent my roses are filling the air with, nothing nicer than relaxing in the garden with a cuppa or beer and enjoying the garden, well that’s until I spot a weed or a spent bloom I missed a few minutes before. That said my six below may disagree with me! Now I will say that there maybe one or two roses below, that’s my little warning for this week but tough it’s my six and I love them! Well that’s torn it! My forsythia needed pruning and after months of mental turmoil about whether it should stay or go now, if it’s goes there will be trouble but if it’s it could be trouble, so darling let me know, should it stay or should it go, well sorry The Clash, it’s gone, now what the hell do I do with this space!! I always feel that the flowers of sempervivums look very much like the alien bursting out of the person in the film alien, but that said they also look very beautiful. Also once the individual rosette flowers, it then sadly dies but with so many new rosettes coming up, the plant is never lost. Well that’s my six done, I hope you enjoyed them and look forward to seeing you next week, I may of started planting up the font space caused by hurricane Tom or started another project…..
June! June! 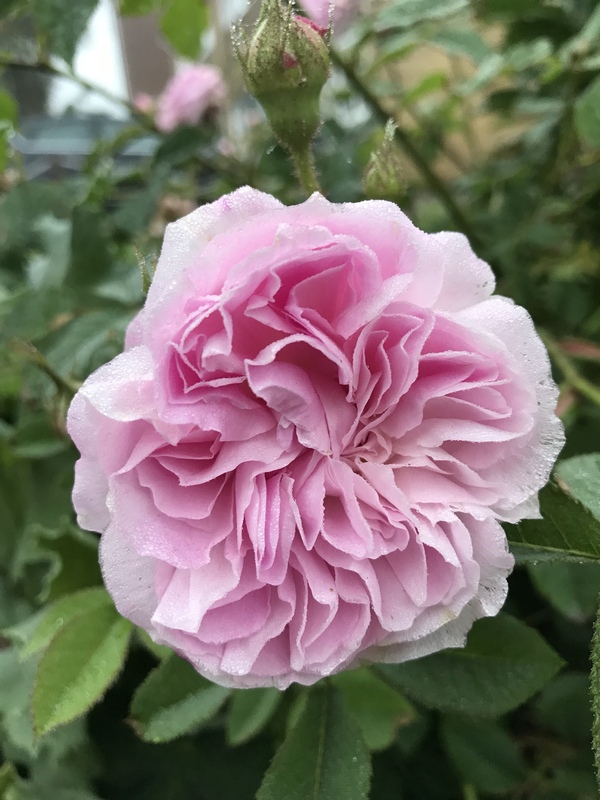 It can’t be be June already but the garden is proving me wrong, with so many of the June plants showing me it’s June, with the roses really starting to get going and their fragrance is starting to fill my garden. But what a week it has been, very hot and sunny and then it rained and boy did it rain! My glass left on the patio table, had 65mm in it after just being outside for 12hrs. This time last week I was heading up to Chelsea for the flower show and I had a great time there, so many stunning plants and gardens too see and inspire from. Not had to do much in the garden this week, it’s all just ticking by nicely, I do have some plants to add to the garden and now the soil is a little moist and I hopefully will get them in, I also need to plan and plant up my front door pots, just can’t decide what to put in there this summer, seen one plant I like to use and slowly adding a list together. One thing that has been decided is the removal of the forsythia in the front garden, that’s going by by this weekend! Right enough waffling, I need my cuppa and weekend toast and the little one is of the same opinion! Again this weeks 6 is going to be a rose feast with a few others added but my roses are going away nicely now and need to be shown off! Let’s have a poppy now, never sowed them, they just appeared in extension of the flower bed when I did it last year. Poppy seeds last for years and years in the soil, just waiting to be exposed and when it does, boom there they are! Now this is one of my favourite roses, flowers on and off all summer with these scented flowers, pretty disease free and tough as old boots. 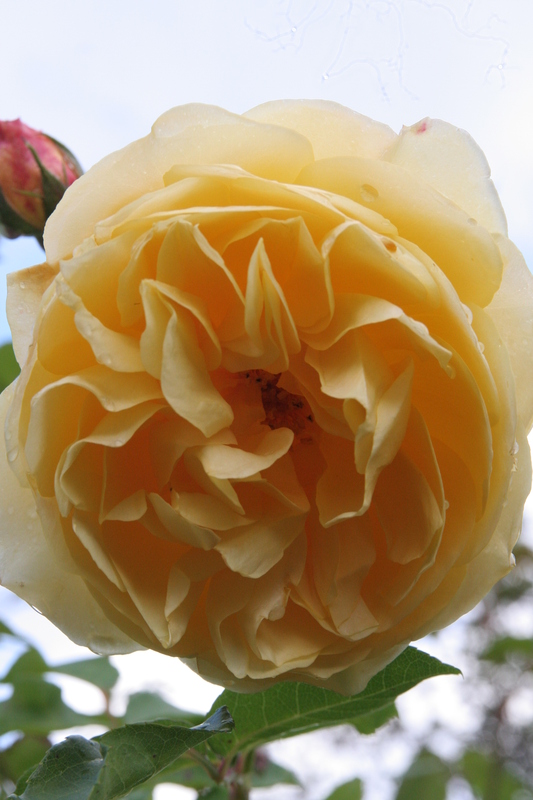 It is a rose that should be and deserves to be grown wider, such a great garden plant, it’s name is Amanade paternotte! Well happy Saturday one and all and it’s great to be back writing the SoS for the first time in a couple of weeks. This excellent meme helps to focus your mind of 6 things that are happening in your garden, yes at times it can be hard to find them but other times you end up with 10 or so things you could include but have to whittle down to 6. This also allows you time to wander around the garden, relax and enjoy things that are happening in there at the time. I think anything that helps you enjoy the hard work you do in the garden and helps to share the successes and failures, is great in my book. Anyway a lots happened in the last few weeks and the garden at home is really coming on, the roses are budding up and I managed to get to a great plant sale on bank holiday Monday and I do expect those plants brought will be making an appearance soon. My roses are a little late this year, full of bud with colour occurring, I feel they will be open soon, right mr Stone lets get on with the six! Geranium phaeum Connie Broe is one of those marmite plants, you either love it or hate it, I have a soft spot for her indeed and I love the marbling foliage on this plant and I look forward to seeing the foliage and flowers each year. As soon as she finishes flowering this year, I shall be lifting and dividing and replanting once more. About 18months ago, I went to a Niwaki training day held at Architectural Plants and led by the great Jake Hobson and this is the tree I cam back home with. I am still training it and have just given it its first trim up, quite pleased! Yes yes another geranium, this time it’s Himalayense Derek Cook, himalayense has a nasty habit of taking over the world, so far Derek has been well behaved, just hope he carries on like this! 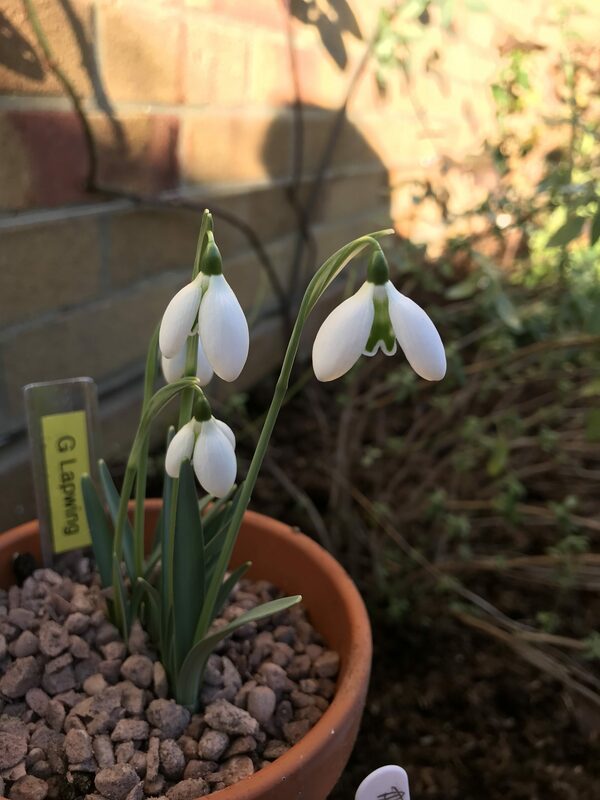 The lovely flowers of sea thrifts are slowly appearing and Pride of Düsseldorf is one of my favourites, such an easy to grow plant that loves a free draining site and makes a perfect addition to my Alpine pots. Well that was another funny week, the start of May saw in a couple of frosts, temperatures rising to low 20s and a morning of heavy rain followed by a sunny bright afternoon. It’s certainly been playing havoc with work and the poor plants, seen a few plants with singled tops, mainly clematis and Macleya. Let’s hope that was the last of the frosts for this summer, these late frosts do cause a lot of damage don’t they. It’s also been my birthday this week, some how I have reached 45, but I managed to break one of my all time rules of not working on my birthday, still it was a sunny day and I did do a little bit of planting! Hoping to make up for that in a few weeks time by enjoying a trip to a lovely garden! 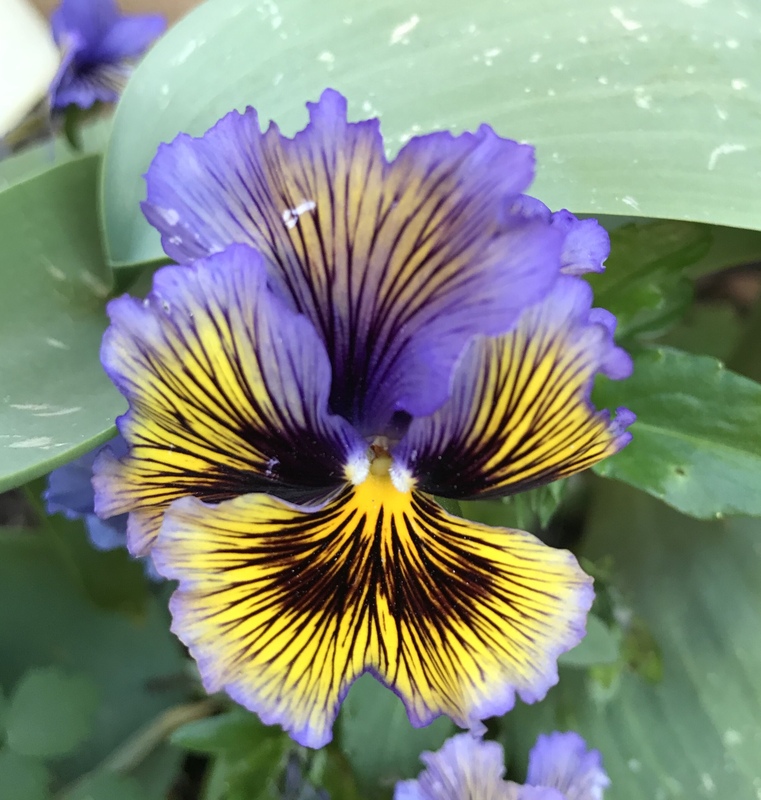 Had to add this pansy just because I find it in some way, very fierce looking! I am not sure what it is but it is certainly a scared plant, it could be the intense lines leading to a almost mouth like centre, they could be whiskers as well? I did show you a few weeks ago my front garden with the spotted laurel being removed, well it’s all out now and had the planting mix added and now some roses I brought from Peter Beales and some Geraniums added, with a couple of spaces left to fill, good job there’s a Plant heritage plant sale at longstock nursery on Monday morning!